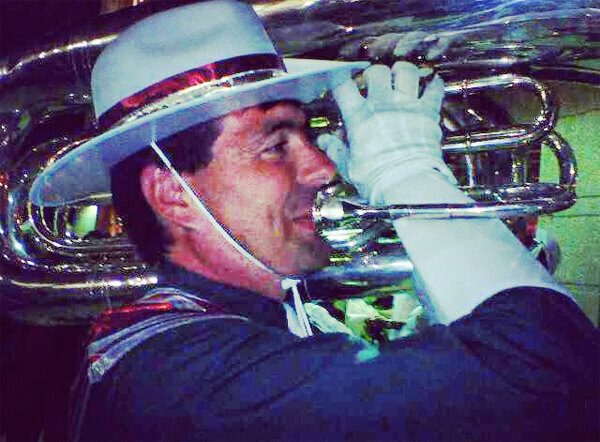 Shane M. performing with the Madison Scouts alumni corps a few years back at Camp Randall Stadium in Madison, Wis., for the 2006 DCI World Championships. Great weekend! I know Shane had fun. Shane was the director of the Railmen in the late '80s and early '90s as well as Roosevelt High School in South Dakota during the early 2000s.